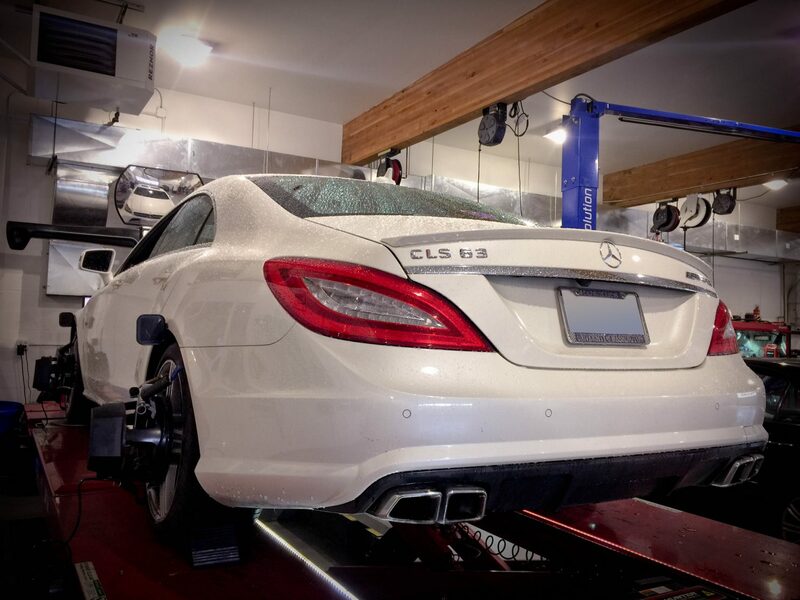 Yesterday a Mercedes CLS63 AMG S W218 was in for an alignment on our Hawkeye Elite Hunter Alignment Rack. This state of the art 3D Laser Alignment Rack with Ride Height Sensors uses four precision cameras to measure the position and orientation of targets mounted to each wheel using adaptors. These adapters were designed with the car lover in mind feature spring-loaded arms that grip the tire, eliminating metal-to-metal contact and wheel damage. 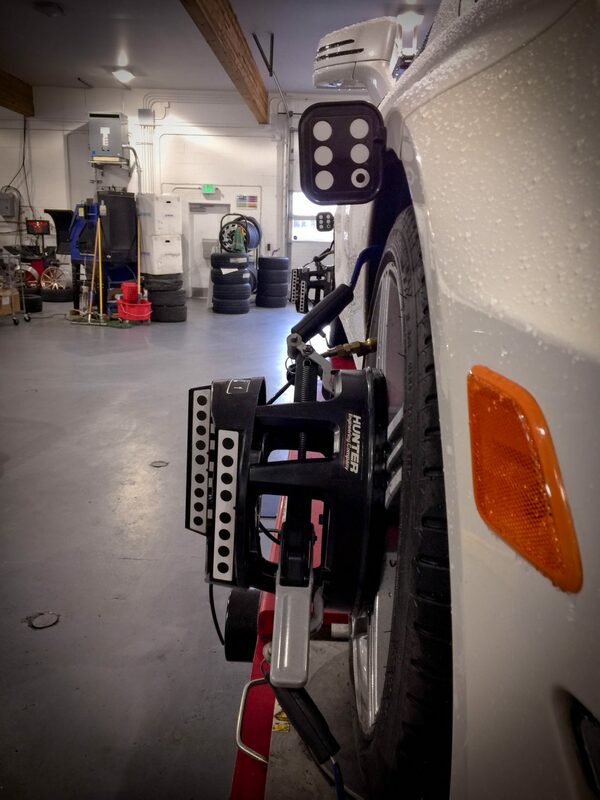 So, you can get the peace of mind of a precision alignment without worrying about scratches on your wheels. As we do with all vehicles in the shop, we performed a courtesy 30 point inspection and interior vacuum. We always want to ensure everything is in tip-top shape and the customer will be safe on the road. 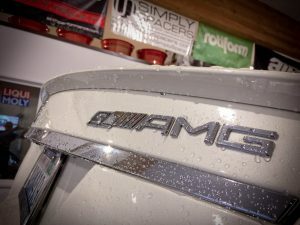 To make an appointment for your Mercedes, or other European or Import car, call 425-254-0627 or email us. Meister Werks European & Import is located one block south from The Renton Landing in Renton, WA. 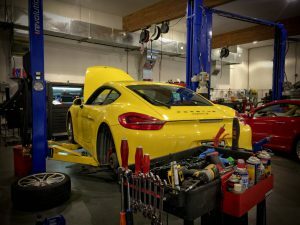 Today at Meister Werks we have a 2014 Porsche Cayman S in for factory recommended maintenance in preparation for an upcoming Porsche Club of America track day event. 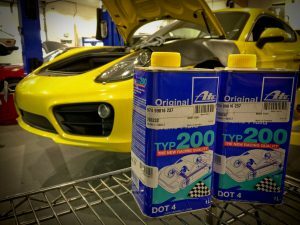 The factory recommended 40,000 mile service for this Porsche Cayman includes replacing maintenance items such as the air filter, cabin air filter, spark plugs, and an oil change. For a little added performance, this Porsche Cayman is also getting a brake fluid flush with a high boiling point performance brake fluid. This performance brake fluid has a higher boiling point, which will prevent brake fade and allows for better braking at a high speeds. This brake fluid has a dry boiling point of 280ºC / 536ºF, which is higher than the standard DOT 4 SL brake fluid, this allows for better performance at higher temperatures. Performing maintenance items at the Porsche factory recommended intervals is crucial to keep your vehicle operating at peak performance and to prevent other components from failing. Neglecting factory recommended maintenance results in the hardest working components not operating at their best, which forces other components to work even harder. This can lead to catastrophic failure of major components which can be very costly to repair. At Meister Werks our mission is to keep your car in top operating condition while preventing catastrophic failure and saving you money. 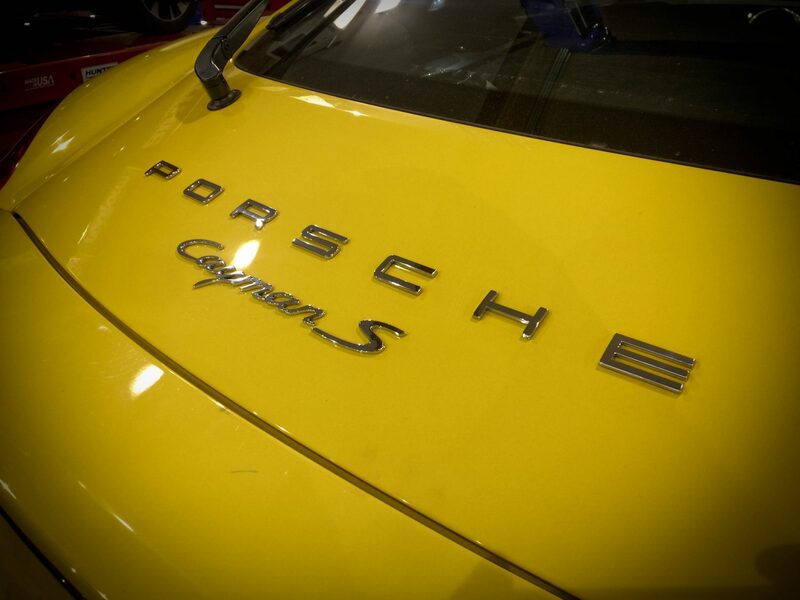 To make an appointment for your Porsche, European or import car, call 425-254-0627 or email us. Meister Werks European & Import is located one block south from The Renton Landing in Renton, WA. Meister Werks European and Import powder coating department is now back up and running. Our new powder coating tech just started on Thursday and is already learning the ropes very well. This is his first powder coating job (with help). I would say it turned out perfect. Powder coat is a coating process that is applied to raw metal with a special powder application gun. This process uses low air pressure to disburse the powder while electrostatically charging the powder as it comes out of the powder coating gun. 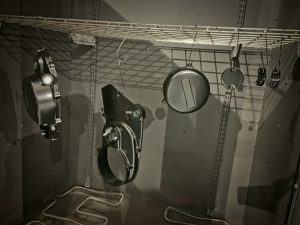 Need something powder coated? Call 425-254-0627 or email us at info@meister.us.com for a quote or information. Meister Werks European & Import is located one block south from The Renton Landing in Renton, WA.